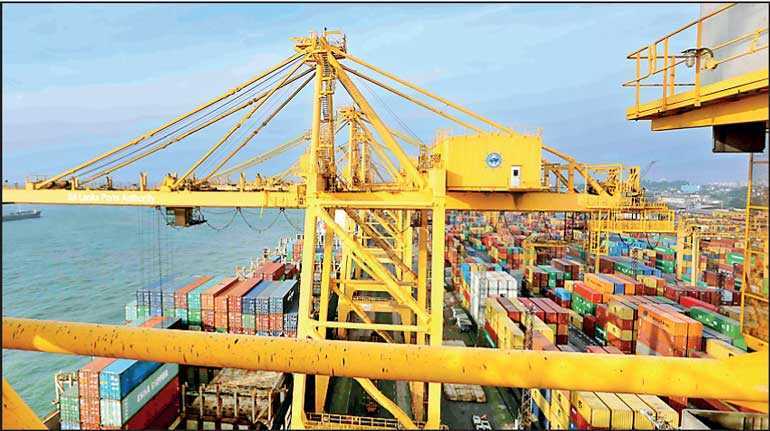 Ports, Shipping and Southern Development Minister Sagala Ratnayaka announced that the Sri Lanka Ports Authority (SLPA) was in the process of purchasing three Ship to Shore (STS) cranes in view of the Jaya Container Terminal (JCT) 5 expansion. “I am glad to announce that the Sri Lanka Ports Authority (SLPA), upon Cabinet approval, is now in the process of purchasing three STS cranes for the JCT 5 expansion. The $ 25 million investment has been approved by a Cabinet-appointed procurement committee,” Minister Ratnayaka tweeted yesterday. “This is the first step in a rapid, accelerated expansion program to cater to the growing demand from our customers. We will continue to listen and improve as required by market conditions,” the Minister added. The Government last year decided to expand JCT 5 with a wider quay and modern equipment, at an investment of $ 70 million. “This will allow two 360 metre vessels to berth at the Colombo Port at the same time. The Cabinet approval for the purchase was given last week that the SLPA will buy the cranes from a Chinese supplier, selected according to the Cabinet-approved procurement process,” the Minister explained. “The Port must attract greater transhipment cargo traffic volume – thus directly increasing foreign exchange earnings. To achieve this, we must be more attractive than all neighbouring ports – financially, efficiency-wise, and in terms of ease of doing business,” he said.